I ran these printmaking workshops in 2018. 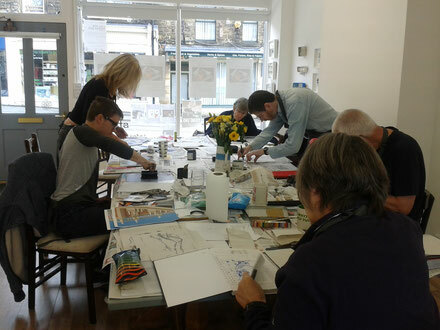 I am able to run printmaking workshops, in techniques such as dry point etching, monoprinting, linocut, screenprint and collograph printing. Workshops can be arranged for groups, individuals or schools. Please contact me if you need further information or to discuss a workshop at your own venue.